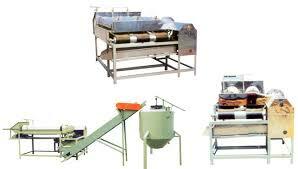 General objective of this article paper is to discuss on the Importance of Grain Cleaning Equipment. Grain cleaning equipment takes each of the hard work out from the equation. Mobile seed cleaners can come to your farm and process a great deal of seed every hour, leaving you free to get on with your work. Machinery is so advanced these days that it’s hard to assume how people coped with the process in the past.